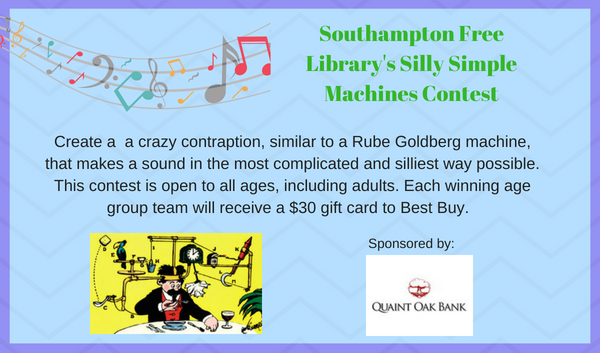 Entry from must be submitted to the Southampton Free Library by August 4th. *Machines will be presented to judges on Saturday, August 11th. Be prepared to explain how it works. Check out the entry form for rules and more information. 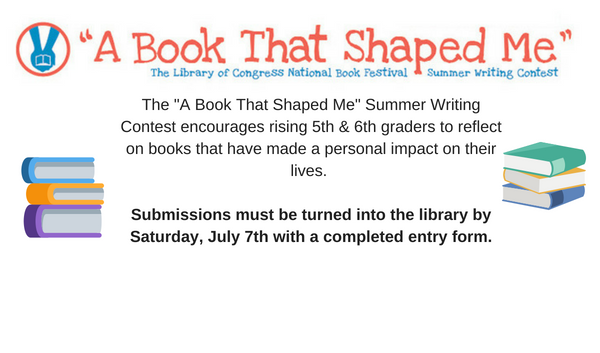 Please check out the Library of Congress "A Book That Shaped Me" entry form for more details, rules, prizes, and contest information. All submissions must have a completed entry form attached to them and be turned into the Southampton Free Library by Saturday, July 7th. This contest is run by the Library of Congress.